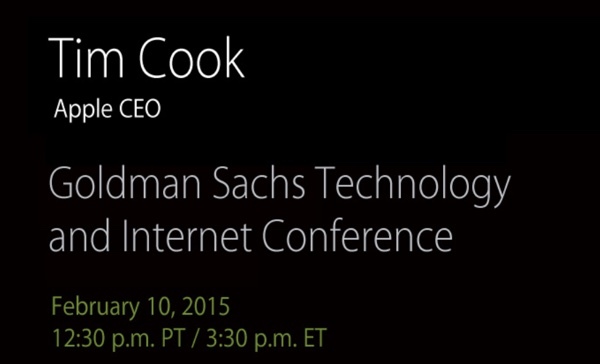 Apple CEO Tim Cook will be speaking at the annual Goldman Sachs Technology and Internet Conference this afternoon, beginning at 12:30 PM Pacific Time. While Cook was not present at last year's conference, he has attended many times in the past. Cook is not likely to make product announcements during today's session, but previous conferences have seen him divulging details on Apple's philosophies and business practices. In 2013, for example, he spoke about Apple's cash usage, innovation, design choices, retail strategy, iPhone growth, and more. Streaming audio of the Goldman Sachs conference will be available beginning at 12:30, and MacRumors will also provide highlights and coverage on what Cook has to share this year. I bet he can sell some gold apple-watches at that place. Someone needs to come up with a drinking game for this, and future events. edit: everyone who has tried to steam WWDC knows what I mean. Perhaps we'll get the Asian audio feed instead. Anyone up to live translate? The United States of Goldman Sachs.